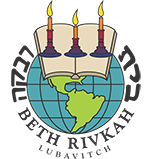 Beth Rivkah Schools is a non profit 501(c)3 organization. All donations are tax deductible. There is no refund on donations. We never share any of your personal details with anyone, without your permission. The donate form on our website uses 128 bit SSL encryption to keep your data secure.